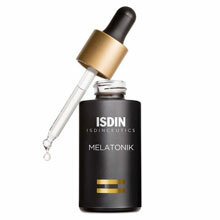 Melatonik is a 3-in-1 night serum. It repairs damage incurred by your skin during the day. Reduces the appearance of wrinkles and fine lines as well as enhances skin density and firmness. Will see significant changes after 12 weeks of use. Because there is no retinol in this product, it is great for women who are pregnant and breastfeeding since they can’t use retinol based products. Stimulates skin’s natural defenses against free radicals caused by UV radiation, oxidative stress and pollution. Eryfotona Actinica is designed to enhance skin health. Helps to address existing actinic damage with DNA Repairsomes® that deliver encapsulated photolyase enzymes. 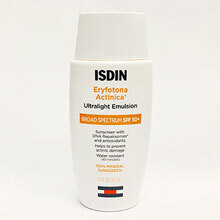 Thus ultralight emulsion will not only protect your skin from premature aging but help to repair damage that’s already occurred!